Build a Web connected raspberry pi thermostat and control your heating from any smart devices, Pihome comes with following two options one Wired to GPIO and wireless with nRF24L01. Install git and then clone pihome project from GitHub to your Apache document root location. sudo apt-get install git sudo git clone https://github.com/pihome-shc/pihome "/var/www"
sudo git clone https://github.com/pihome-shc/pihome "/var/www"
If you set to MySQL users and password as per instructions then run setup.php from command line otherwise modify setup.php with correct MySQL username and password and save it. If you are using using Raspberry PI LAMP image from here then you need to perform these steps to create MySQL Database username and password. 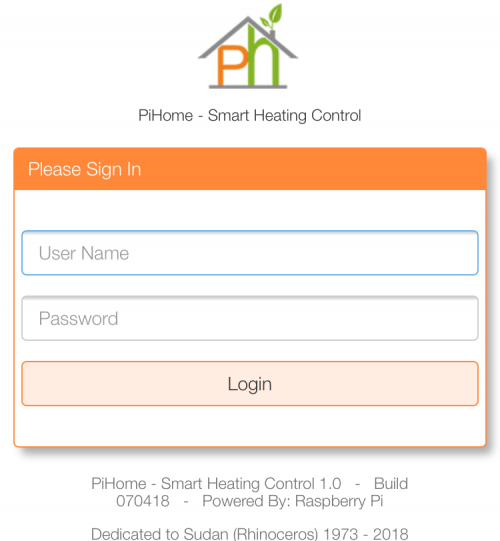 Run setup to install PiHome Smart Heating on your Raspberry Pi. setup.php will create pihome database and then import table structure, create table view, save db config file with and create all relevant cron jobs. Set your timezone on your Raspberry pi and then set timezone settings in your MySQL/MariaDB Database(pihome->System->Timezone). Hi great job but I got a little lost on what to do here and how and where do i need to install the pihome files? Import MySQL database from /MySQL Database folder and add all view tables. create database by importing pihome_mysql_database.sql and then create table view as per MySQL_View.sql ( you need to do this one by one. let me know if you need help with database. for some reason i had missed very small details in LAMP installation http://www.pihome.eu/2017/10/11/apache-php-mysql-raspberry-pi-lamp/ you need to change document root of apache. by default apache installed with document root pointing to var/www/html, you need to change this in /etc/apache2/sites-available/000-default.conf and change DocumentRoot /var/www/html to DocumentRoot /var/www/ and copy all project folder to this location. let me know you how you get on with this. i have updated LAMP post as well to reflect this change. It seems that I’m still getting a Gateway 500 error. very quick question, did you create table views as well as per MySQL_View.sql file? You dont need this anymore, just update your pihome code from github. I wanted to let you know that I managed to get it working on php7.0. Now I’ll try to meddle with the code and see what will come of it. Hello, you have a great software, but i’m not able to install it. i have tryed several times but no success. can you help me with the install or you can do it for me. did you follow steps? where you have issue? I have installed RasbPI strech, Apache and phpmyadmin, but i cannot attach datapase and i’m not shure how to do it. could you make an ready image for RaspberryPI with all preinstalled settings? i thought about this in past but as many people prefer to start from zero. i can upload full SD card image but its 16gb. You can put raspberry as a default password for everything (root, pi, sql, phpmyadmin…) This can be the default installation.Everyone who want to start from the beginning, can do it with this tutorial. Thank you for all of your hard work on this project, I am keen to get pihome running but I am a bit inexperienced with linux. sorry my mistake, can you please download project again and run setup or only download setup.php file and replace it and run in again. setup.php file had testing database name whereas it should have been pihome. let me us know how you get on. i can do one remote session with you to setup this, i have plan to make full sd card where everyone can download img file and burn it on sd card. Hi Brett, glad it worked for you. I now have the wifi gateway working, but I’m not sure if it is communicating with the rpi. 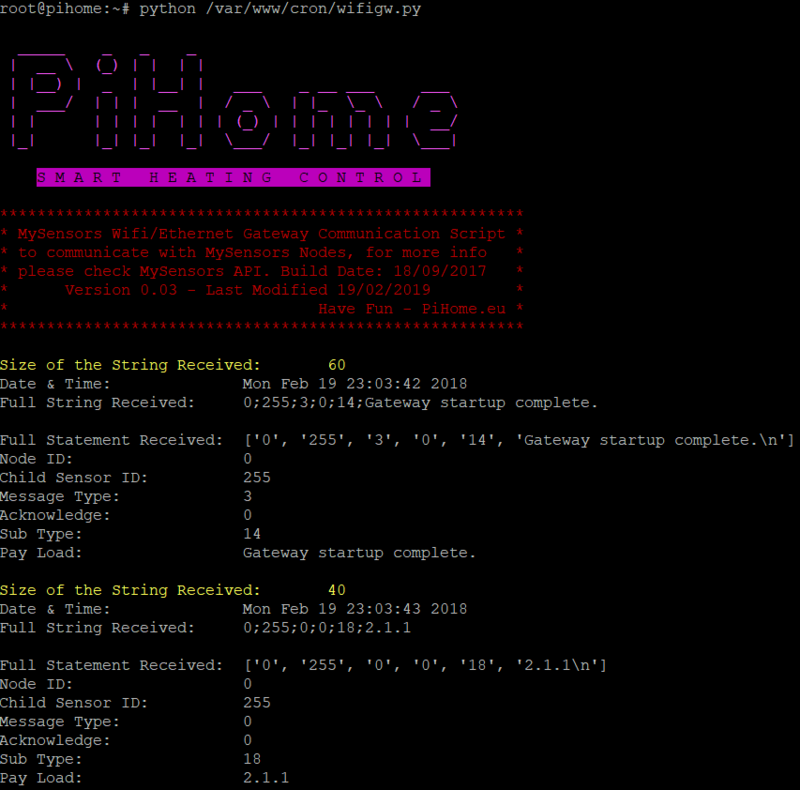 Also, how do I add/edit zones and in the pihome interface, is it all done through phpMyAdmin? Yes you can modify zone info via phpmyadmin, i have build any web interface to modify these settings. Yes you can connect your zone relay and temperature sensors directely to raspberry pi gpio but make sure you make some changes to /cron/boiler.php and add goip pins number for each zone in zone table and gpio pin number for boiler in boiler table. can make one sd card image with all required software preinstalled? i m not being lazy but it would help some people like me who got very little knowledge of computer programing. i m working on to upgrading php code to work with php 7 once that is done i’ll build sd card image and upload to this site but until then you have to follow all the steps if any difficulty drop comments. Thank for letting me know, i have update instructions, now you need to perform following three commands to create database user name with password and give it permission to use database. login credentials are on download page.and you need to enable desktop if you want. run sudo raspi-config and select Boot Option and then B1 option to enable/disable desktop on boot. Hi, I’m trying to instal on raspbian stretch where i installed LAMP with php 7.
i installed php 7 i thought in this last relase pihome support it, maybe i’m wrong and this is the cause of the error? i suggest you to download sd card image file pre-loaded with all dependencies and pihome from downloads section. it will save you lots of time. First I want to say that you are making wonderful work! thank you, i have update the setup.php, as long as you can save temperature readings in message_in table you are ok, you can manually add nodes information in nodes table to get temperature sensors presented to relevant zone. on same note pihome heating controller can be managed from http://www.pihome.eu/mypihome without opening any ports on your router. Just wanted to say great work! I’m not sure if I’ve missed it somewhere, but is there functionality for forced-air cooling? thank you, you mean controlling heating and cooling? if that is the case then no, where i m based we only need heating as its hardly any summer but i m open to suggestion to make room for this option. lets take this offline, can you drop me email at info@pihome.eu and work on this to add heating/cooling option. What are the things that I need to change in your sd img to make it work with temp. sensor and boiler relay via GPIO? I’ve read all your tutorials many times but never managed to get it to work. first add WiringPI GPIO number for each zone and boiler, if you have temperature sensors connected to GPIO as well then you need to add gpio_ds18b20.py in your cron job and hen change temperature sensors id for each zone. hop this helps, share you experience here as well. you can use piconnect which is free to manage your home heating from anywhere. Where do I change the sensor id for each zones? Is it in the database in zone>sensor_id? How do I know the correct sensor_id? I am guessing it is not the long number like 28-02049246ea0f. Also for now, I need to have it as one zone and boiler is heating up everything. So no zone control, only boiler turning on and off. What would I need to change for that? I am sorry for these basic questions, I took on a more difficult project than I expected. when you run python /var/www/cron/gpio_ds18b20.py it will save all temperature sensors id (28-02049246ea0f) in node table, you can delete all your exiting zone and re-create them with correct sensor id. I’m currently running the latest version from github. Is there a way to upgrade the database structure without losing all the data? I see running setup.php drops all the tables and recreates the structure. @Alex, right now there isnt any way to update structure i will try my best for future updates to have structure updates as well as full db update. if you know any way of comparing two databases and extracting changes drop me line. on cron jobs i have web interface which i m working on but this need some time to refine and get it work they way i wanted it to untill then its only text you can copy past in your crontab.